Harris’s Sparrow is on the D-Yellow Watch List. It breeds along the edge of boreal forest and tundra in north-central Canada, and spends the winter in the central grasslands region of the United States. © Ian Davies/Macaulay Library, Cornell Lab of Ornithology. Vast expanses of our North American landscape have become highly modified, transformed, and fragmented in recent centuries due to a wide range of human activities including farming, forestry, energy development, fire suppression, urban expansion and introduction of many invasive species. While these losses are significant, habitat management provides an opportunity to mimic natural processes and restore complexity to our natural systems to ensure the sustainability of a diverse and productive landscape that supports both humans and native bird populations across North America. 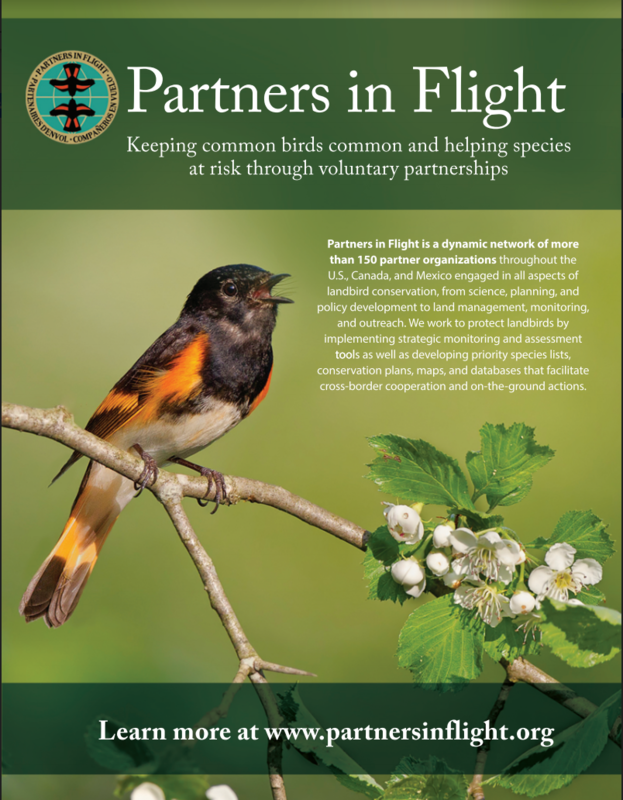 Migratory Bird Joint Ventures are cooperative, regional partnerships that champion collective habitat management actions across private and public lands that benefit birds, people and other wildlife. 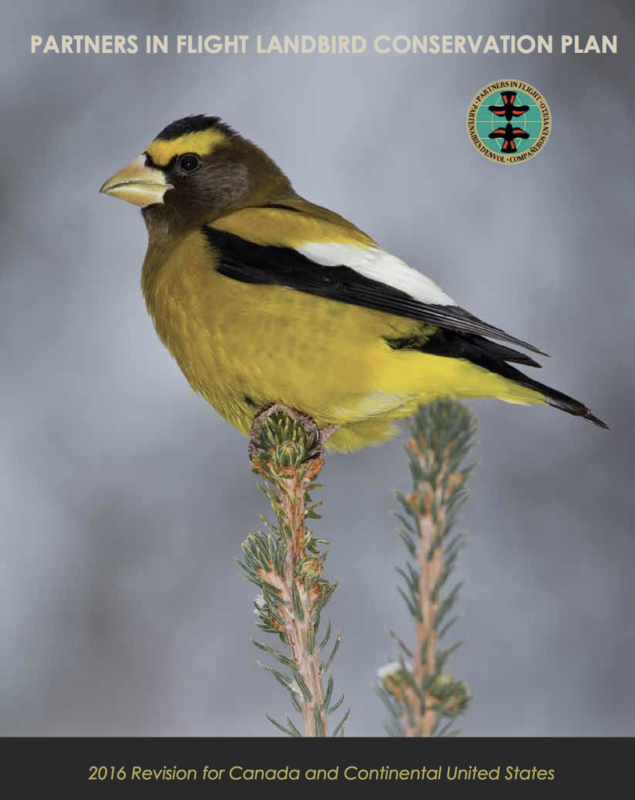 Specific management actions for bird conservation are included in each of the 2013 Canadian Bird Conservation Region strategies, as well as the 2016 State Wildlife Action Plans developed for each of the 50 United States. The North American Wetlands Conservation Act (NAWCA) contributes significantly to Partners in Flight objectives for wetlands associated landbirds across North America. NAWCA grants increase bird populations and wetland habitat, while supporting local economies and American traditions such as hunting, fishing, birdwatching, family farming, and cattle ranching. The Neotropical Migratory Bird Conservation Act (NMBCA) addresses migratory bird population needs on a continental scale and conserves birds throughout their life cycles. The projects our grants support in other countries foster security, generate good will, and improve foreign relations, while sustaining healthy bird populations. Partners in Flight recognizes the importance of habitat management as a valuable conservation tool and works across scales large and small to provide a biological foundation that supports habitat delivery. We also foster collaboration and coordination among our partners to increase the effectiveness of their collective habitat management actions to help meet bird conservation goals.